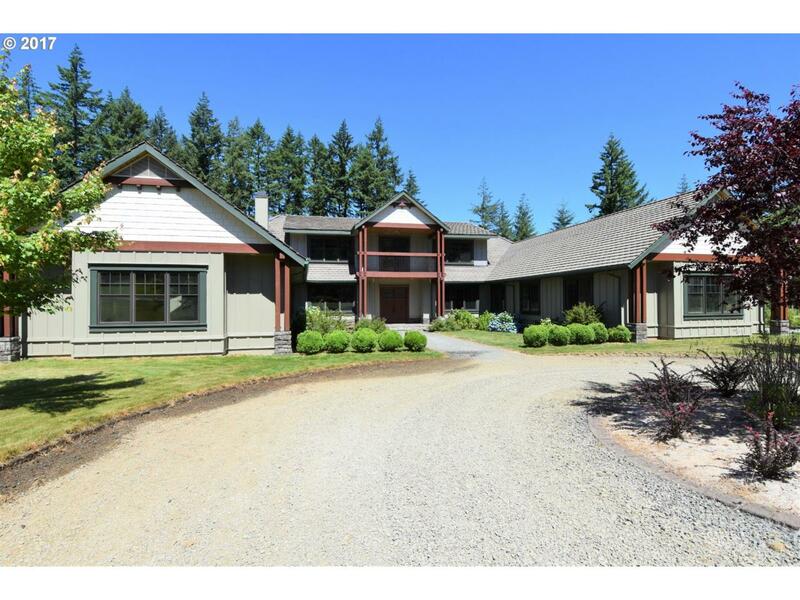 Amazing custom home on 5.38 private acres, yet only mins to Woodland or La Center. Wood accents harvested from the property. Incredible master suite including his/hers bath, laundry room and not just W/I closet but room. Three additional en suites. Huge kitchen with large butlers pantry. 10ft ceilings on main, 9ft on 2nd level. Partially covered patio w/outdoor kitchen and fireplace. 1616sqft shop and garden area you simply must see.